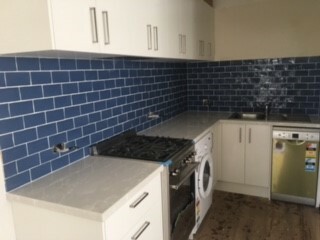 A nicely coloured kitchen splash back! Copyright 2014 National Tilers. All Rights Reserved.